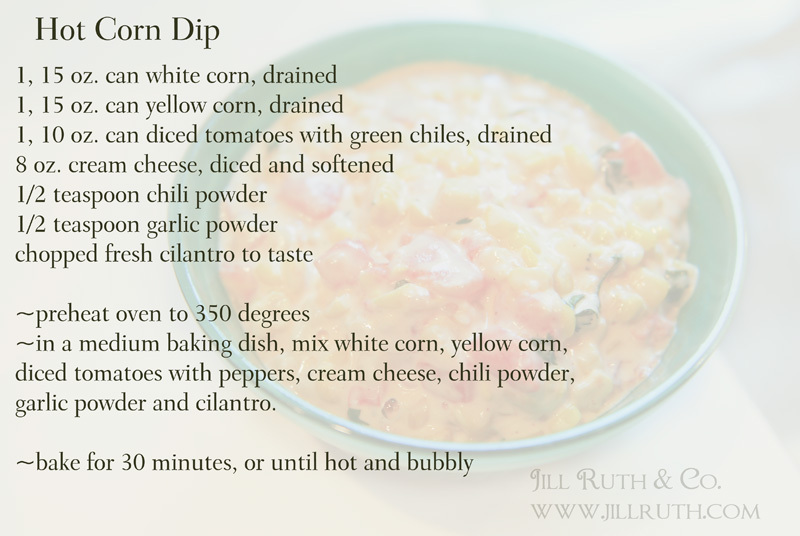 Delicious Hot Corn Dip Recipe - Jill Ruth & Co.
My daughter had an internship this summer at a botanical garden. (!!!) Too bad I didn't get to visit while she was there. 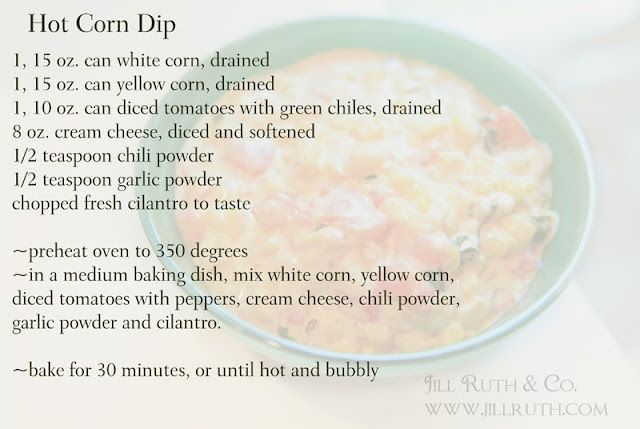 At the end of her time there, they had Corn Festival Days and this recipe was one that the gardens had samples of for the attendees to try. She brought home the recipe and told me she thought we'd like it. She was right!! It's delicious! It's perfect with tortilla chips. But, I also think it would be really good to scoop into a taco too. We are pretty much out of fresh corn or I would want to can some too. 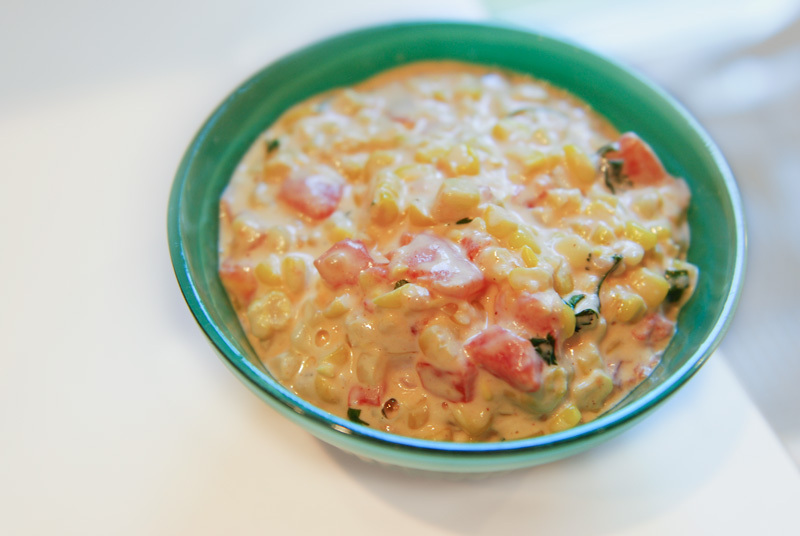 I modified it in that I used fresh corn cut off the cob and fresh tomatoes from the garden, yum! 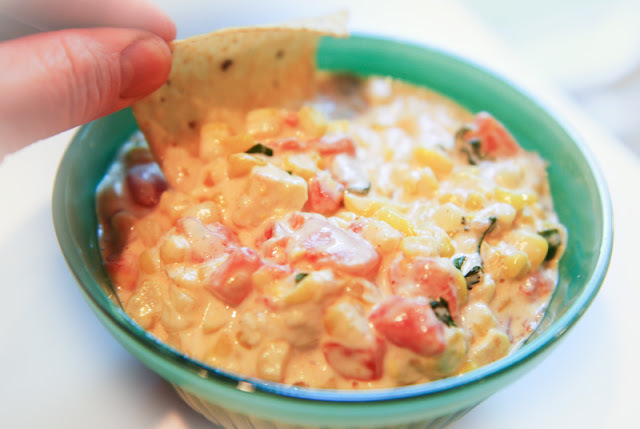 I really like cilantro and I think that is what really makes the dip good. All the kids are back in school today including the college ones so maybe I'll be back to a more regular schedule here. That does sound delicious! Thanks for sharing. Thanks! 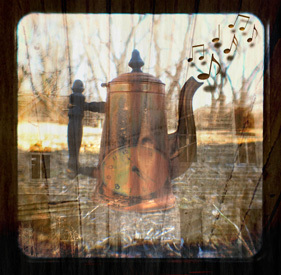 Will definitely make this! 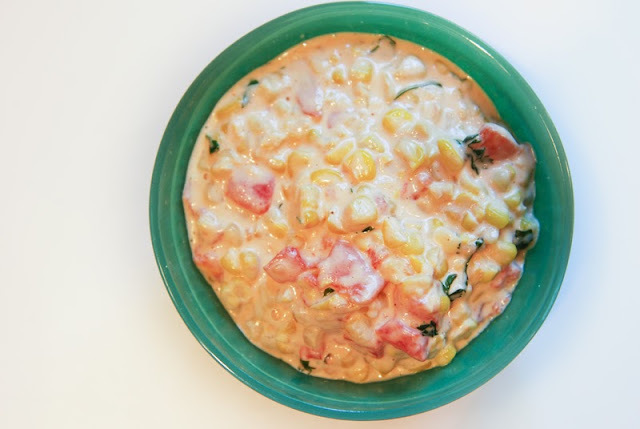 I have a corn cold dip... made with Mexicorn. I love it! Do you have that one?